No need to worry about the new Haymarket Whiskey Bar being pretentious. There is no attitude. My friend Dave and I decided that the words whiskey and grand opening gave us plenty of excuse to head down to 311 E. Market Street. Parking was easy along the street. Owner Matthew Landan reconstituted the former Derby City Expresso into what it is today, a simple watering hole. It’s not what I expected walking in, but that’s not a bad thing. As you enter you are greeted with a couple pinball machines and a couple video games on one side of the narrow bar. You’re not going to find tables with flower buds or candles. Nor are you going to find prices forcing you to borrow against your house. 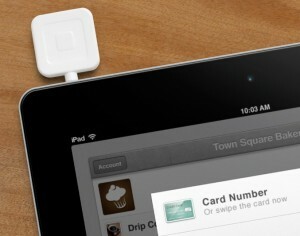 Owner Matthew Landan scans your credit card for payment on his iPad using the Square. When the card is approved, you sign your name on the iPad. In the far back corner is the bar. Having not seen the place in its former life as a coffee shop, I have to think the bar is where coffee and espresso beverages were produced and served. Such as it is, the bar is “L” shaped about six feet on each side. Along the wall where the whiskey bottles are standing at attention there is an iMac on the wall displaying a Facebook page. Sole bartender and owner Landan swipes your credit card at the end of your visit using a Square attached to an iPad. We were there early so there was no crowd. 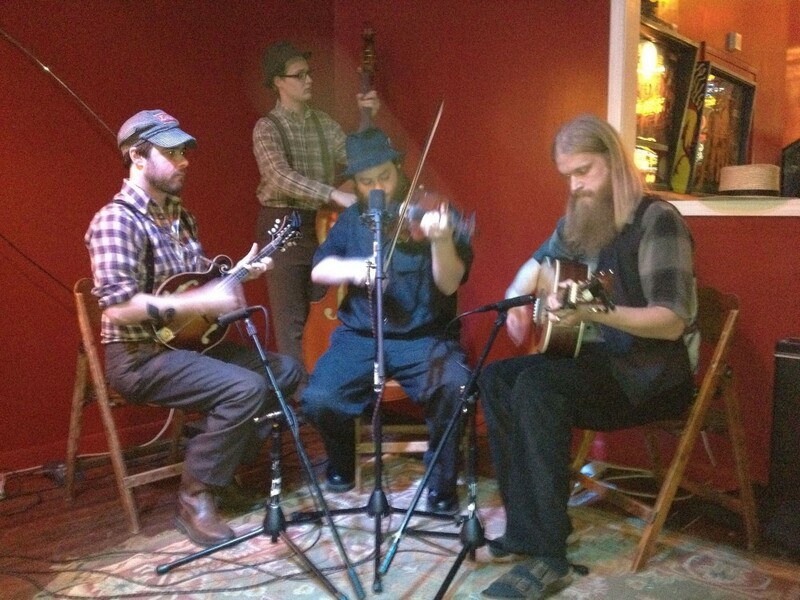 The entertainment was warming up with some sound checks, we were warming up with some straight bourbons on ice. Prices are fantastic – mostly in the $3-5 range. There are the usual Maker’s Mark, Knob Creek etc. You’ll find Willet, Old Pogue, Jefferson Reserve, Town Branch, Old Granddad and others. Plus you’ll find a selection of Scotch products. The Haymarket Whiskey Bar is not a pub. And, I have to say, bar implies somewhat of a central attraction and gathering point. watering hole just seems about accurate. It’s casual, warm, and friendly. Even with music going, it is not difficult to have a conversation. Landon says he is expecting to be adding more bourbon and scotch products over the next several months as he filled several orders and carried on conversations with others while also glancing at the Facebook display. As we were leaving, there was a Lil Cheezers Gourmet Grilled Cheesemobile parked out front. That kind of sums up this “whiskey by the drink” place. This entry was posted in Business and tagged Haymarket Whiskey Bar. Bookmark the permalink.